Here are some last-minute stocking stuffers and great gifts for yourself! The Finders Key Purse, $6.95, has made it so easy to reach for my keys in my purse! All you do is attach your keys to the clasp and slip the Finders Key Purse® over the edge of your purse. No more fidgeting for my keys! It is amazing how isABelt really works. This elastic strap accessory is discreet and comfortable, invisible underneath your tops, when even a thin belt won't work with your outfit (belt bulge is the worst!). This belt is ultra thin, lightweight and adjustable. It also keeps your pants from slipping and reduces back-gap. It reminds me of a clear bra strap, but also comes in black. I only have the clear one but would love to try the black one! 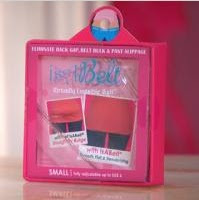 The isABelt Original comes in small, medium, large and plus sizes and retails for $16.95. 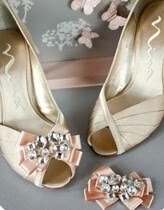 Absolutely Audrey shoe clips instantly dresses up your shoes or clutch. Instant Button® is a removable and reusable button that allows you to add or reduce your pants size instantly for that tailored fit, without a belt or alteration. This is also perfect for eliminating that gap in the back or making up for a missing button. 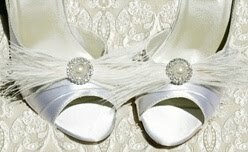 Clear CZECH Rhinestone on Silver Plate (left) and Gold Plate (right), $13 each.